A Passionate Heart will set a fire in your soul for God and a deep love for people. Sammy Tippit tells the stories of men and women who suffered for their faith during days of communism but found the love and courage to reach others with God’s love. These inspirational stories and biblical truths produce a passion in the reader to walk closer with God and reach their generation with the love of Christ. A Passionate Heart teaches how to overcome apathy and where to find the source of courage to conquer fear. It lights the path for personal renewal in the life of the follower of Jesus. — Become a TEAM member HERE!! 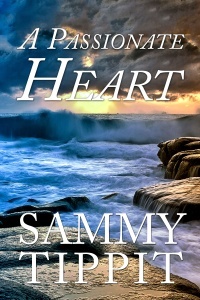 To purchase A Passionate Heart from Sammy Tippit Books, Amazon, Barnes&Noble or Kobo – click HERE!! Click here to sign-up for a free PDF download of chapter 1 of A Passionate Heart and to receive information about other future offerings.